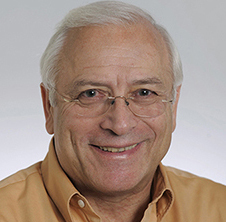 CMU's Department of Statistics recently honored the career of Stephen Fienberg, Machine Learning professor and one of the Machine Learning Department's founding faculty. The two-day event brought nearly 150 people to campus for a dinner and series of talks. The Statistics Department also launched the inaugural Fienberg lecture. Stephen Stigler, the Burton Distinguished Service Professor of Statistics at the University of Chicago, gave a talk on "Bayes, Price and Collegiality in Scientific Discourse."